What’s Next From Nest Labs? Tony Fadell on what to expect next from the smart-thermostat maker. Known as the “father of the iPod,” former Apple senior vice-president Tony Fadell left the company in 2008, and quickly found a new space ripe for disruption when building his own home. The “thermostat problem” was one of both form and function: product design hadn’t changed much in decades, and the extra energy consumed by heating and cooling adds up to 50% of total energy costs, according to Fadell. “I thought, ‘Hey, I could probably make one of these myself.’ All the ones out on the market today were dumb,” says Fadell. 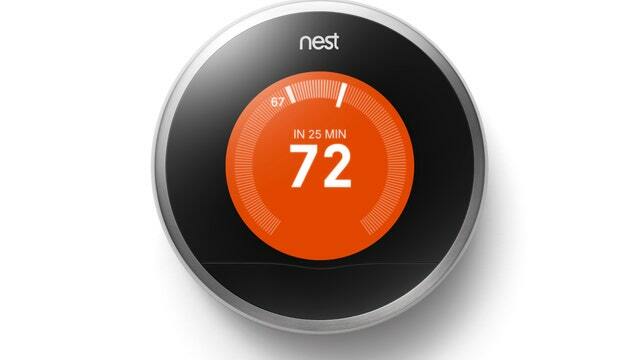 And with that, he set out to create a smarter thermostat, introducing the first Nest model in October, 2011. Departing from the boxy, white design typical of most thermostats, the Nest is circular, with a sleek metal body and a screen that lights up when the temperature is adjusted. The outside of the thermostat functions as a dial, allowing users to quickly turn it up or down. As users program the device for different times of the day – turning the air up at night and down in the morning, for example – the Nest begins to learn homeowners’ preferences, so it can adjust itself. Users can also change temperature settings when they’re away from home, using Nest’s app. “We see between 20% and 30% in savings for a common household,” says Fadell, which translates to savings of $1,200 to $1,500 a year. Aside from giving users more control over their home’s heating and cooling, Nest is also partnering with 12 energy providers to manage peak demands, like those that occur on 100+ degree days in the summer. “We talk to our customers and tell them, ‘Hey, there’s a peak coming. If you’d like to opt into this, we’ll actually control your thermostat by 1 or 2 degrees, and shift that energy usage away from that rush hour,’” says Fadell. Participants then get paid by the energy company for participating, receiving $3 to $5 for each peak event. Nest is on its second generation of thermostats, and for now, Fadell says the company is focusing on growing its customer base, both in the United States and internationally. While Nest is sold in more than 4,000 retailers across the United States and Canada, the company’s thermostats have been activated in over 90 countries. Fadell says the Nest thermostat has created savings worth more than 1 billion kilowatt hours of energy, and the company is experiencing over 100% growth year over year. But the company doesn’t plan to stick to just thermostats in the long run. While the CEO wouldn’t hint at the next energy problem in focus, Fadell did rule out one possibility. “I want to go after larger energy segments, and other things [that] can be very impactful to the home … Lighting is not as big of an issue in the house as many people think,” he says.